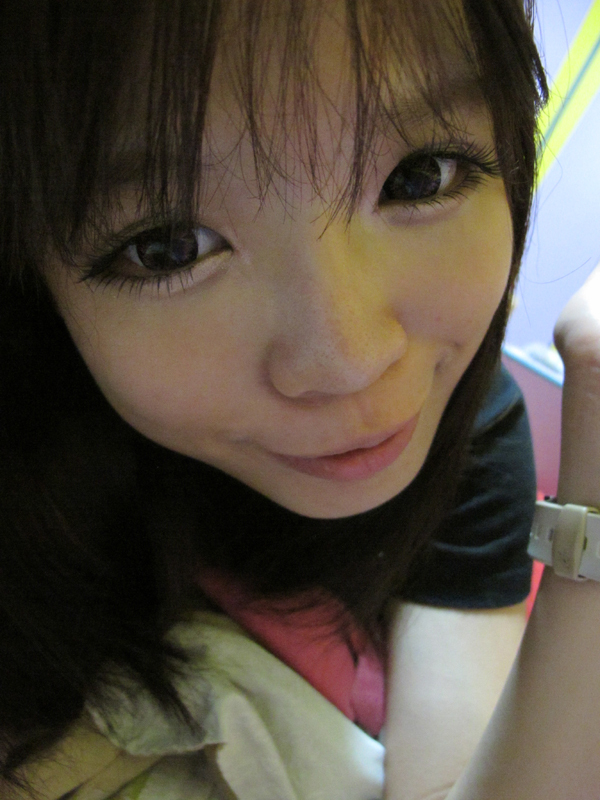 cause i missed pink lens sooooooo much!! 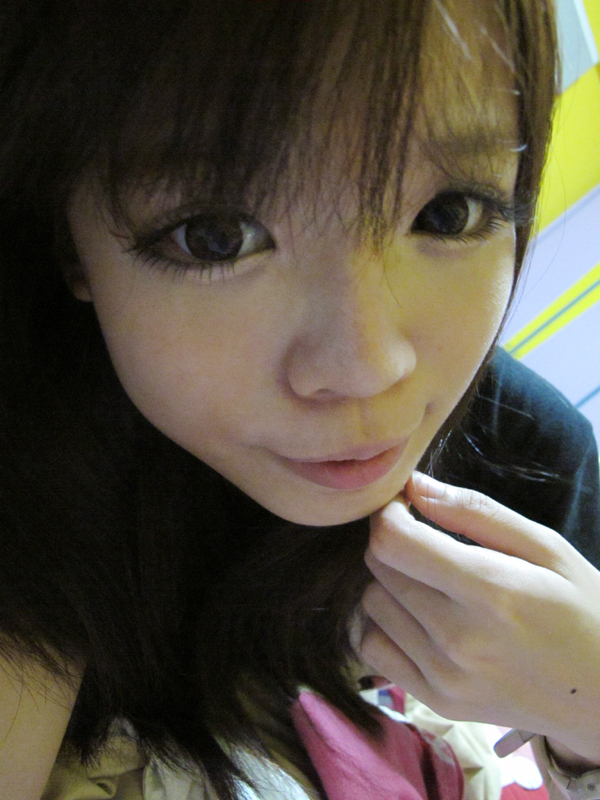 if you realised, i've been wearing brown lens all the while..
and milky pink really caught my eyes~! look at how vivid colour is~! you can see the dreamy design clearly here! Comfort : ★★★★☆ Have been putting them on for days.... and the comfort level is good..
however, i will need to rewet them after 5-6 hours. Design : ★★★★☆ Love it! especially love the fact that in some lighting, it looks natural and in some it looks pinky... The colours are really bright and the design is gorgeous! and it doesn't look weird when i wore it without makeup! 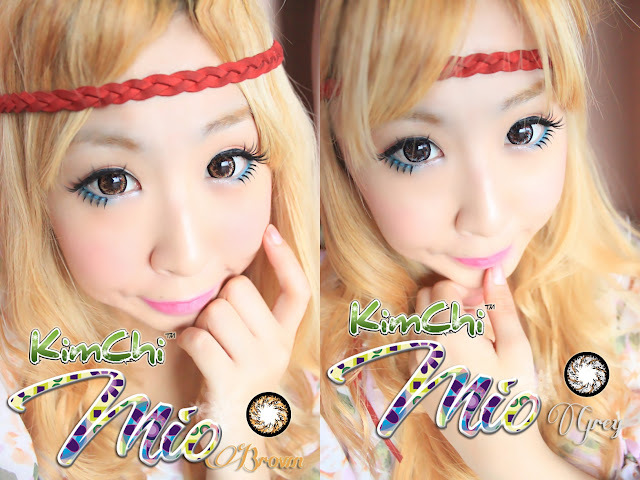 but i will buy and try all the other designs from ifairy/kimchi lens! cause they look soooo sooo nice!! 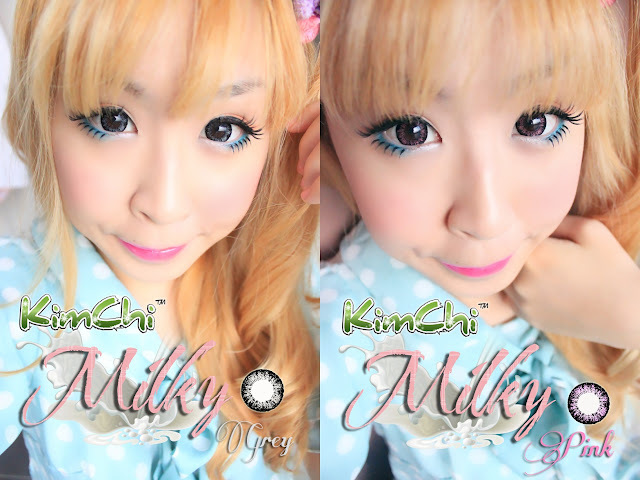 would really recommend ifairy and kimchi lens! because they are soooo beautiful!! here are some of the lens that i want to get NEXT! and also some of the luxury lens !! remember to visit http://thefluffypixies.blogspot.com/ for the great deals! and the waiting time is really short! i hope you like this fantastic blogspot that i've introduced~! next up, will be heroine make event~!